The Lincoln tiny home in Mt. Hood, Oregon. A celebration of all things small—from towns and tiny houses to micro apartments and modular furniture. Editor’s Note: This post was originally published in September 2016 and has been updated and added to with the most recent information. Tiny home living may be all the rage on HGTV, but most people have never stepped foot in a tiny house. 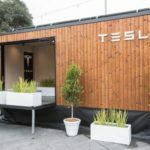 Whether you’re looking to downsize or take a unique vacation, finding a 400-square-foot or less micro house to try out can been difficult because unlike beach condos or ski chalets, most tiny homes are inhabited by their owners. But a growing number of tiny home “hotels”—and we use this term loosely—are popping up across the United States. Since we first started tracking this story in in 2016, we’ve found no less than 11 establishments with multiple tiny homes available to rent by the night. The epicenter of the movement is in Oregon, where my family and I recently had the pleasure of staying (you can read all about that adventure, over here). In Portland and elsewhere, entrepreneurs are capitalizing on the tiny home trend by creating small “villages” of tiny homes and offering a few basic hotel amenities like maid service. But beware, it’s better to think of a tiny home hotel vacation as glamping or camping rather than a traditional hotel stay; accommodations often feature electric composting toilets and limited space for cooking or dining. If you’re hoping to try out tiny living, however, these 11 hotels could be just the thing. The Alpha Tiny House is available for rent in Georgia. 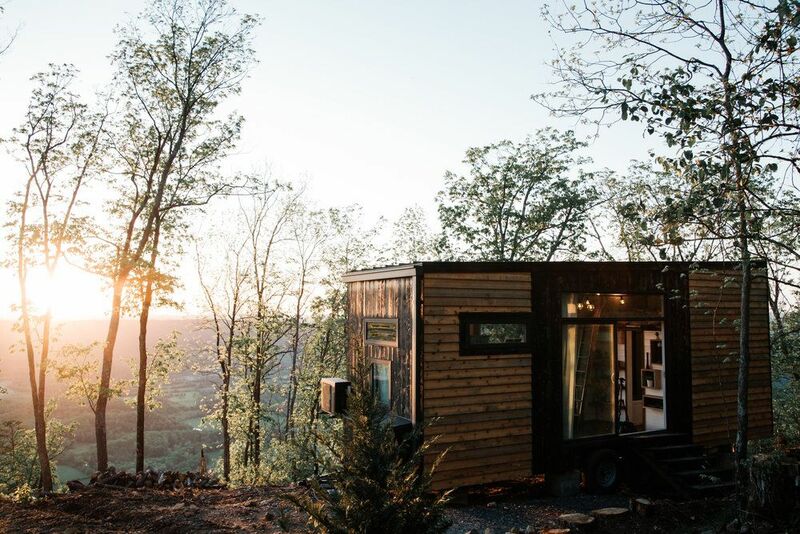 Although it’s not as large as some of the communities on this list, Live a Little Chatt offers four tiny homes available for rent on a nightly basis. The homes are located on a beautiful hill at the foot of Lookout Mountain just outside the city of Chattanooga, Tennessee. All four houses are cute, but the best is without a doubt the Alpha: A tricked-out tiny home that sleeps three, has a jacuzzi tub, chef’s kitchen, and fold down outdoor deck. Rates start at $125 per night and head over here for more photos of the Alpha. The Wedge in Jackson Hole, Wyoming. With 23 tiny homes built by Wheelhaus, the Fireside Resort offers tiny home living in two different models: the 400-square-foot Wedge and the 400-square-foot Caboose. Each cabin comes equipped with fireplaces, decks, kitchens, and flat screen televisions, all within a 15 minute drive to downtown Jackson. Pro tip: even Fido can try out tiny living; Fireside Resort is a pet-friendly establishment. Rates start at $239 per night. 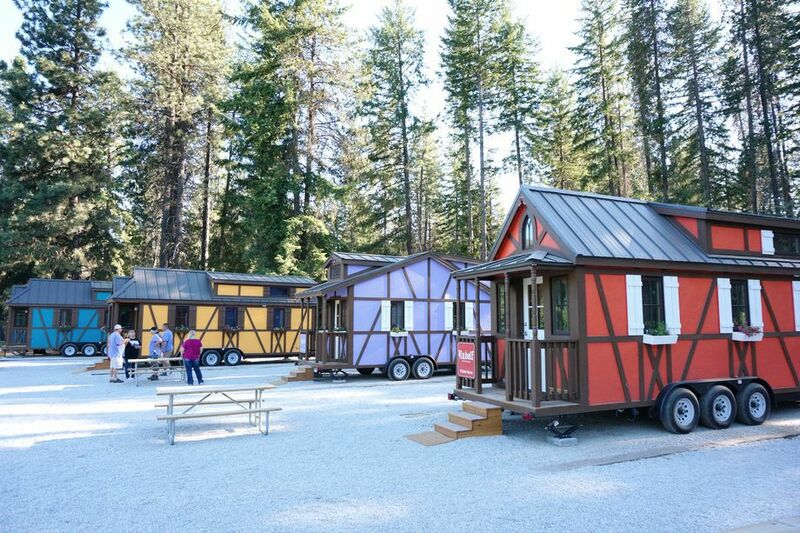 The Bavarian-styled tiny homes at Leavenworth Tiny House Village. The Bavarian town of Leavenworth, Washington is picturesque on its own, but now vacationers can choose to stay in a quaint tiny house village, to boot. The five tiny houses range from 180 to 300 square feet and are located at the Leavenworth RV Resort. Each come with picnic tables and a communal fire pit. Rates start at $129 per night and head over here for more photos. 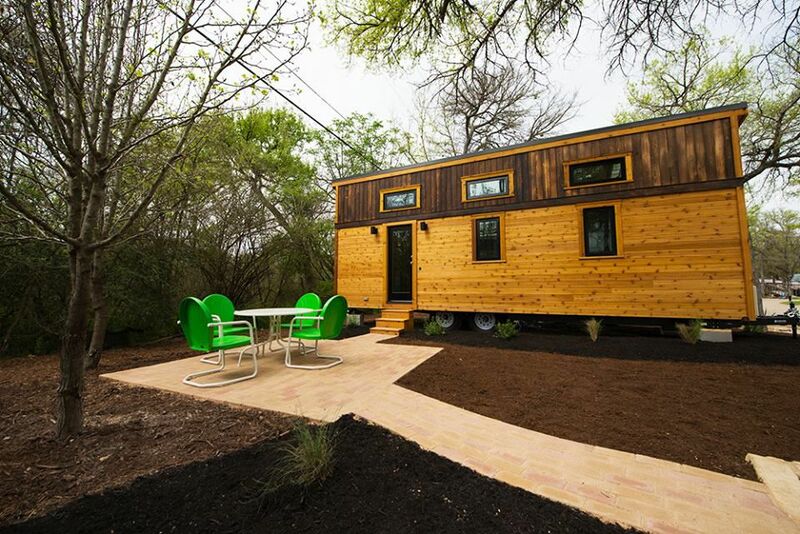 One of the units available for rent at Austin’s Original Tiny Home Hotel. This hotel offers several different models of houses, from smaller units to boxy tiny homes that almost measure 300 square feet. But all come with a well-maintained patio, vintage-replica patio furniture, and loads of amenities. You can expect TV, WiFi, air conditioning, a shower, a full kitchen, and even a coffee maker. Rates start at $129 per night. The Savannah tiny home in Mt. Hood, Oregon. Set in the larger Mt. Hood Village RV Resort—which boasts a playground and indoor pool—the Mt. Hood Tiny House Village features 5 different tiny homes available for rent. All made by Tumbleweed Tiny Homes, the 175 to 260-square-foot houses sleep 3-5 people in lofted beds and a small twin bed on the main level. A tiny home available for rent in Lyons, Colorado. Located in Lyons about one hour northwest of Denver, WeeCasa is Colorado’s only tiny home hotel. With 17 tiny homes measuring 135-250 square feet, WeeCasa has an array of different tiny home options from which to choose. Some have a queen size bed on the main level in addition to a sleeping loft, while others lack any lofted beds. Each rental comes equipped with kitchen supplies, bedding, WifI, and private bathrooms. Rates start at $139 per night. The wheelchair accessible Pacifica tiny home in Portland. Located in the Alberta Arts District in Portland, Caravan boasts locally-built tiny homes ranging from 120-170 square feet. Although each tiny home has its own funky styling, all of the houses have flush toilets, hot showers, electric heat, a sitting area, kitchen, and cool art. Major bonus: The Pacifica tiny home (pictured above) is one of the few tiny homes that is wheelchair accessible. Rates start at $165 per night. The Funkomatic tiny home at Blue Moon Rising. Although Blue Moon Rising doesn’t market itself as a tiny home hotel, the property’s 14 cabins certainly qualify: all range from 250 to 300 square feet in size. Designed and built by Hobbitat, each cabin is considered a work of art and was built using sustainable, reclaimed materials. Rates start at $175 per night. The interior of the Bamboo tiny home at Tiny Digs Portland. Opened in 2016 with fully furnished accommodations measuring around 150 square feet, the Tiny Digs Hotel provides custom-built tiny houses to tourists looking for something different. Originally an old car dealership, the property has 13 tiny houses arranged around a central common area featuring chairs, couches, tables, a fire pit, and art. Rates start at $165 per night. The exterior of the Maisie. 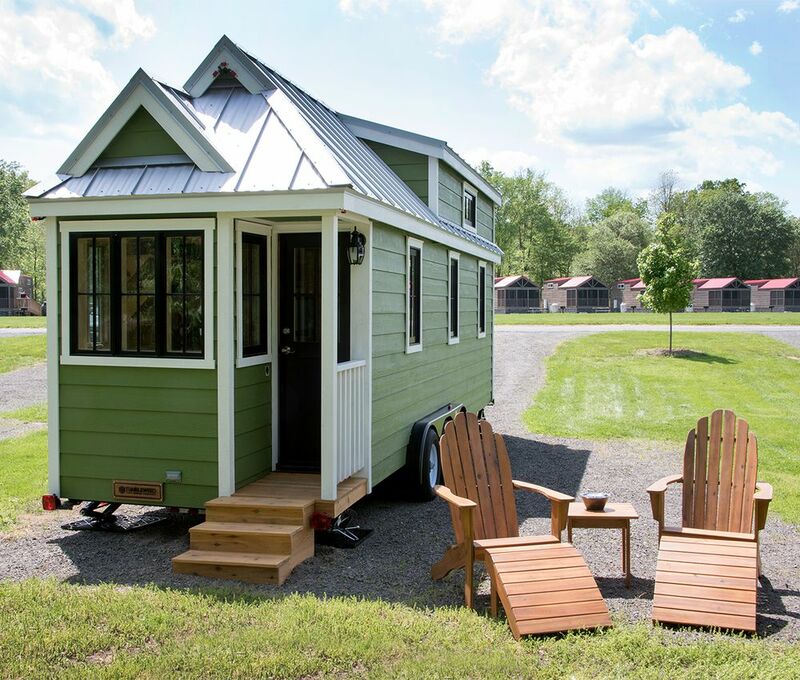 A start-up known for “custom-building Instagramable tiny houses,” Getaway launched in 2015 with three cabins available to rent outside of Boston. The company has since expanded with four New York cabins, all measuring between 160 and 220 square feet. Rates start at $109 per night. 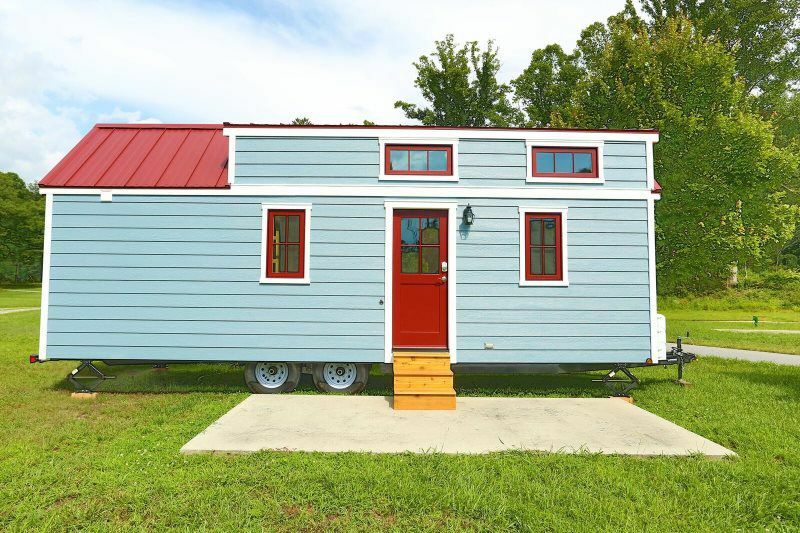 A 26-foot tiny home available for rent in North Carolina. Courtesy of The Village of Wildflowers. This tiny home community in Flat Rock, North Carolina sits on 26 acres and offers tiny homes to buy, rent, or just stay the night in. If you’re just visiting, there are 12 different tiny homes available for rent, many with two bedrooms that can sleep up to five people. The smallest units rent starting at $95 per night, while larger tiny homes cost $159 per night. Head over here for a full selection of rates. A tiny home available for rent at the Yogi Bear’s Jellystone Park Camp Resort. 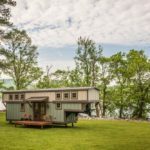 The veteran tiny home manufacturer Tumbleweed Tiny House Company has teamed up with Yogi Bear Jellystone Park Camp Resorts—a collection of RV and cabin campgrounds across the country—to offer tiny homes in three different locations. All of the tiny homes come equipped with AC, TV, bedding, a full bathroom, kitchen, and a porch. Rates start at $229 per night in Virginia and $299 per night in Marylandand Pennsylvania.